Personal boundaries aren’t easy to establish. There is no litmus test that tells you when or what sort of behavioral limit setting is needed at any given time. There are no concrete measurements that reveal when a personal boundary is too rigid or too loose, or when it needs to be adjusted. Navigating relational boundaries requires that you know yourself, and that is an individual journey. Although challenging, it is worth the effort and can deliver rewards such as intimacy and closeness in relationships. Your most fundamental personal boundary is one that defines you, who you are, and what makes you “you.” Without a boundary, you are defined by others, and there is no “you” for others to be in relationship with--others just see you as an extension of themselves. You need to know where you end and where the other begins in order to relate to another person in a healthy way. The boundary around who you are includes identifiers such as your name, gender, height, etc. It also includes preferences such as your favorite color, movie, or song. You get to like what you like, not what others wish you liked. You don't have to feel what others say you should, but are allowed to feel for yourself. It is this personal boundary that, once established and maintained, can bring deeper knowing and intimacy with others, because you're clear on who you are. Simply stated, your feelings belong and happen to you. You may have to live with the consequences of how you express them, but no one gets to tell you what your feelings are. And, likewise, others get to feel what they feel, regardless of your wishes. Similarly, your thoughts are your thoughts. They come to your mind, and you get to think as you wish. Your thoughts are not my thoughts, no matter how in sync we may be. You can interact and trade thoughts with others, but your thoughts are yours. The Bible tells us to strive for the mind of Christ, and this involves the persistent effort to take each thought captive (see 1 Corinthians 2:16; 2 Corinthians 10:5), yet doing this first requires you to take the thoughts that belong to you captive. Once captive, you bring them to Jesus in order that they may be challenged and renewed to reflect truth. And, likewise, others get to think what they think, regardless of your wishes. You don’t take my thoughts captive. That’s a job only I can do. Think about the implications of this. 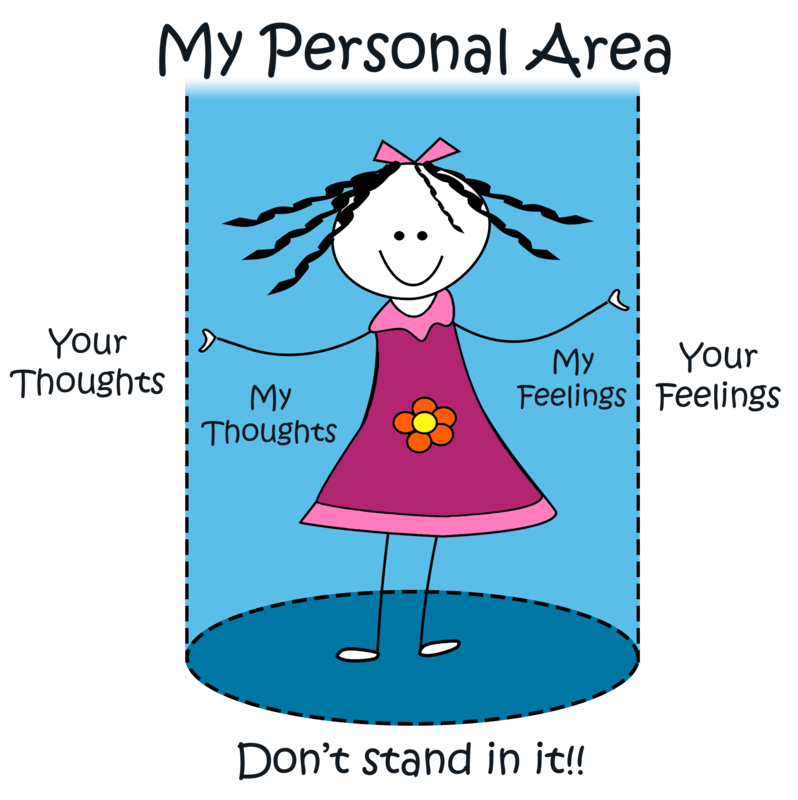 If your feelings and thoughts belong to you, then you are responsible for them. You may not be able to prevent feelings and thoughts from happening to you, but you are accountable for what you do or say in response to them. In other words, it’s okay to feel! In fact, it’s empowering to feel, for both others to let you feel, and for you to let others feel. Feelings can be our greatest teacher. We may experience things we might not have otherwise learned had we not been greatly moved. Trying to control the feelings and thoughts of others is not only impossible but also may prevent them from learning a needed lesson. Instead, when we accept that how someone feels and what they think is first and foremost a reflection of their own internal experience, we free ourselves to manage and take responsibility for what IS ours (i.e., our feelings and thoughts). As I busy myself with managing my own thoughts and feelings, I free you up to manage your own thoughts and feelings. Once we see that we are each responsible for our individual thoughts and feelings, we can get busy relating to one another in a more authentic, and intimate way. May you seek first to be known by the one who makes intimacy possible. And in being known, may you come to find yourself, and in doing so, discover the courage to be vulnerable and share who you are with others. Kathy Krentkowski is a Licensed Clinical Professional Counselor in the state of Illinois and a Licensed Mental Health Counselor in the state of Indiana and works at Chicago Christian Counseling Center. She has a rich clinical background in residential, church, and outpatient settings, working with adolescents and adults. She is experienced in working with various issues including abuse, addiction, depression, anxiety, relationships, and self-esteem. Chicago Christian Counseling Center is a 501(c)(3) nonprofit and has provided professional Christian counseling in Chicagoland and Northwest Indiana since 1973. For more information, call (800) 361-6880 or visit www.chicagochristiancounseling.org.